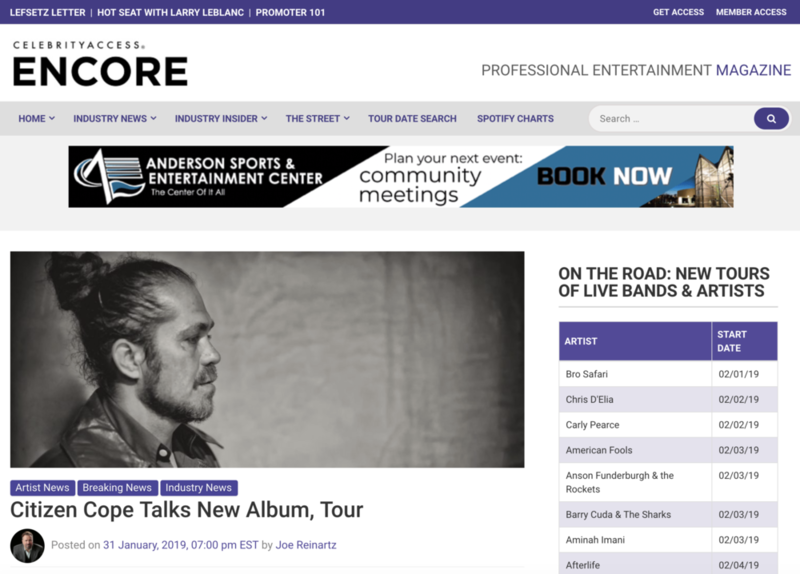 NEW YORK (CelebrityAccess) Citizen Cope, aka producer/songwriter Clarence Greenwood, is dropping his first album in seven years next month. Greenwood has been busy raising a child, writing music and maintaining touring but Heroin And Helicopters will be his first full-on return with new music. The album’s name is inspired by Carlos Santana who told Greenwood to “Stay away from the two H’s, heroin and helicopters” because those two things are fatal to musicians and celebrities.